Headland and dune shoreline protected in 2014. Pristine dunes on the Valle de los Cirios Pacific Coast. 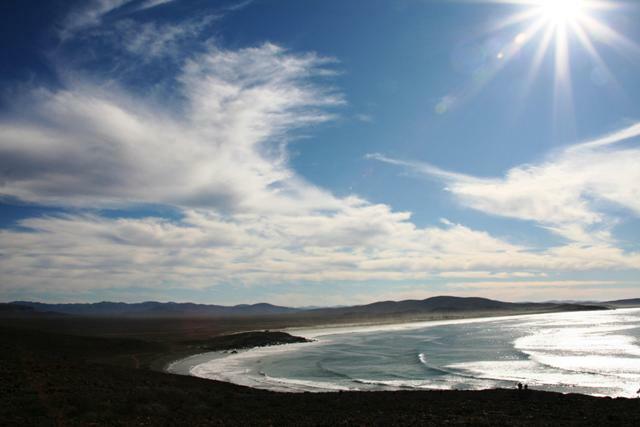 Since 2008, WILDCOAST has been protecting the globally unique Valle de los Cirios Pacific Coast in Baja California. The region, one of the most remote and ecologically intact coastal stretches in North America, is under the constant threat of mega tourism and industrial development, mining, lot sales and human impacts on vegetation and wildlife. To protect the ecological integrity of the Cirios Coast, WILDCOAST is conserving key areas on the 80 mile corridor such as points, bay shoreline, dunes and wetlands, through a combination of direct land purchases, conservation easements and protected area management. 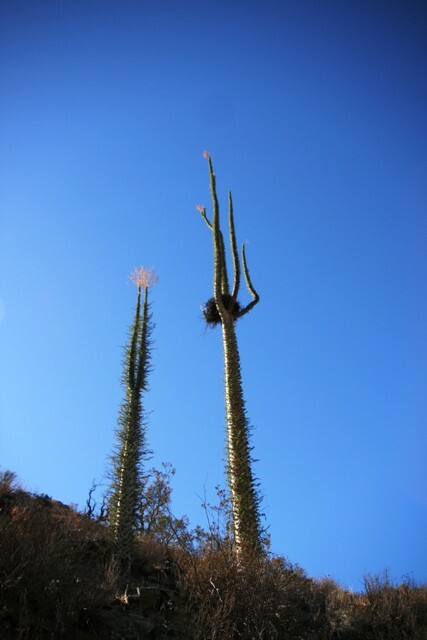 The mystical Boojum Tree makes for a comfortable nest. With the purchase of three new properties, representing 3,137 acres and 3.5 miles of shoreline, WILDCOAST has achieved the protection of 33,271 acres and 36.7 miles in the region. The area conserved includes seven headlands and adjacent shoreline, five wetlands and eleven continuous miles of shoreline. In 2014 and 2015 we are continuing this effort to protect one of the most biologically significant coastal stretches left in the Californias. 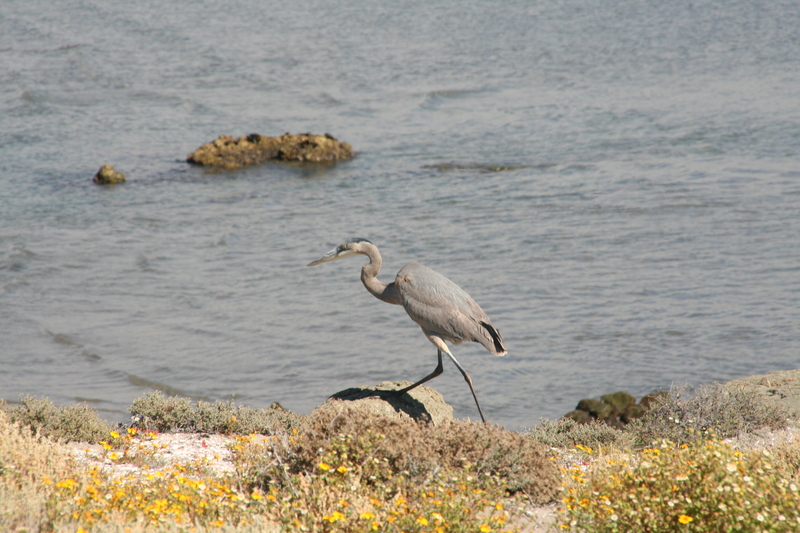 A heron rests on protected shoreline. « Alpine Girl Scouts Get Excited About Their Marine Protected Areas.